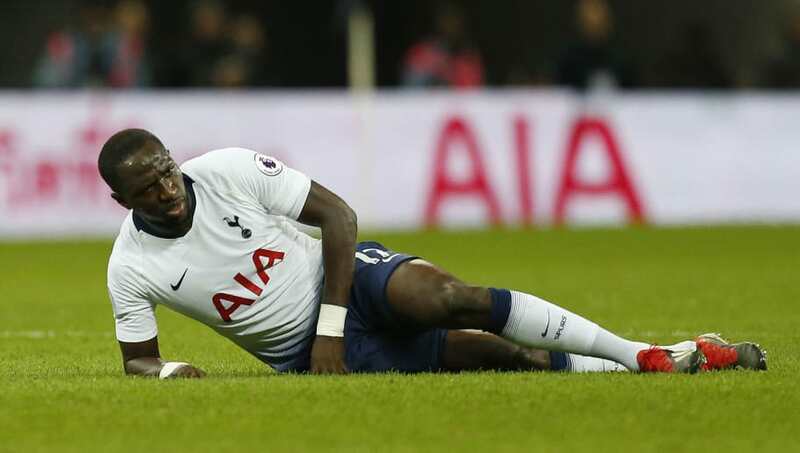 ​Tottenham's injury woes have worsened with the news that Moussa Sissoko is set for a month on the sidelines, following the groin injury he sustained against Manchester United. The club had already been rocked by the news that their captain and top scorer Harry Kane will be out for around three months with damage to the ligaments in his ankle, and now the news of Sissoko leaves them threadbare in midfield as well. As reported by the ​Evening Standard, the 29-year-old is set to miss several key clashes for his side in the upcoming weeks, including the second leg of the EFL Cup semi final against Chelsea, and will face a race against the clock to recover in time to face Borussia Dortmund in the ​Champions League first leg on February 13th. Mauricio Pochettino's team have five games to play in the next two weeks, and as it stands they will combat them with only one fully fit senior midfielder, Harry Winks, with 18-year-old Oliver Skipp his sole backup. This is thanks to the impending departure of ​Mousa Dembele to Chinese Super League outfit Beijing Guoan, as well as the continued fitness problems of Victor Wanyama (knee) and Eric Dier (appendix), neither of which have played since November and December respectively. The much maligned Frenchman has emerged as an integral player for Pochettino this term, starting 10 of ​Spurs' last 11 games, and going the distance in all but one, endearing himself to the fans in the process. The dire midfield situation has led to many calls for fresh faces in the January transfer window, and it is understood that the club are looking into potential prospects, though the difficulties of January business and the fiasco with their new stadium make recruitment an awkward endeavour.